So, I've made a third item for The Refashioners 2016. 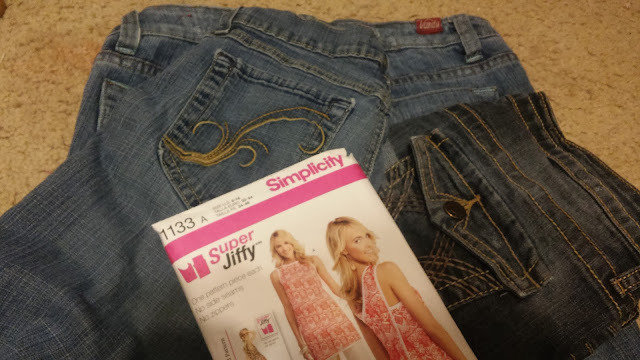 With the amount of old jeans I have more jeanius refashions were definitely an order. So I put my thinking cap on and decided my sister needed something made out of old jeans. I began with 3 pairs of jeans, two medium colored pair and one darker pair, and Simplicity 1133. 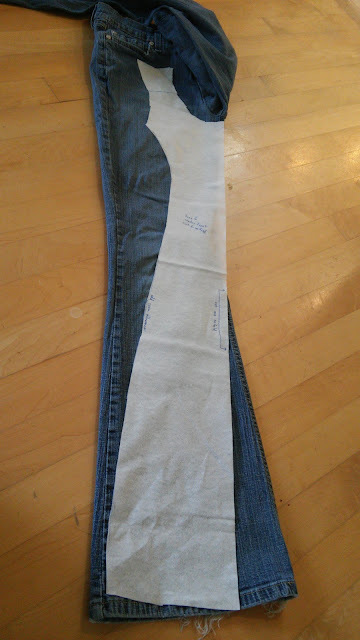 First things first, I modified the pattern, turning it into panels that would fit on the jeans legs. Then I cut into my jeans. 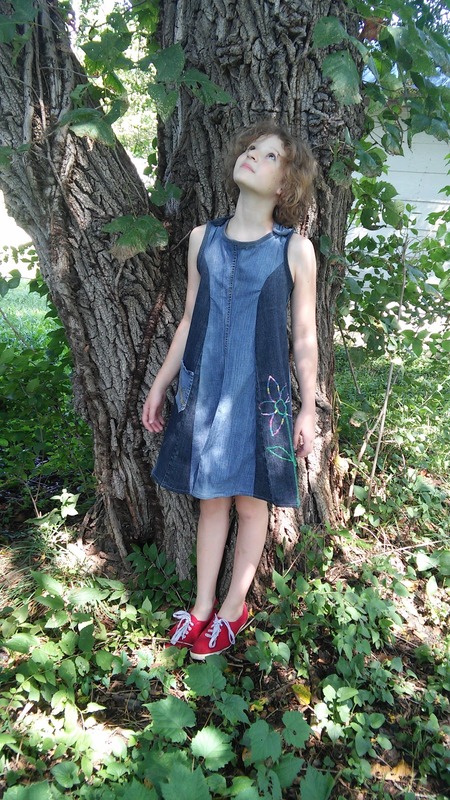 I sewed the panels together, bound the edges, added one of the original jean pockets, embroidered a large flower using the satin stitch on my sewing machine, and called it a dress! My sister loves it! She's worn in 4 times already and I just finished it less than a week ago. 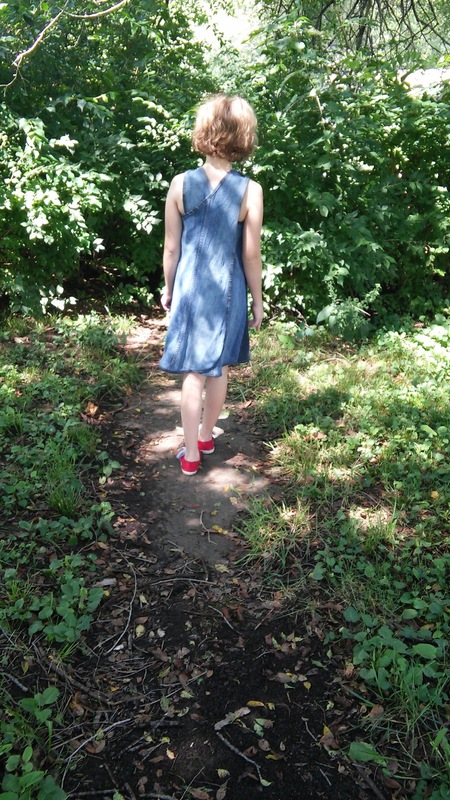 Check out my blog post for the full story of the making of this dress, and lots more pictures! Such a cute dress and very interesting use of the jeans.